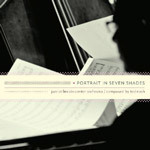 Jazz at Lincoln Center proudly announces the release of Portrait in Seven Shades, performed by the world-renowned Jazz at Lincoln Center Orchestra with Wynton Marsalis and composed by JLCO reedman Ted Nash. Nash’s suite consists of seven movements, each inspired by a master of modern art who worked in the century around the apex of jazz: Chagall, Dali, Matisse, Monet, Picasso, Pollock and Van Gogh. 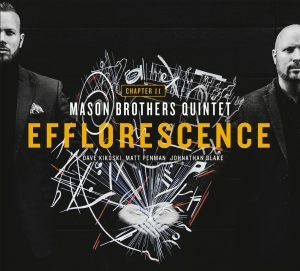 The recording also features special guest musicians Nathalie Bonin (violin), Wycliffe Gordon (tuba), and Bill Schimmel (accordion). The writer Will Friedwald said ‘Music is like painting in time, painting is like music in space.’ Portrait in Seven Shades illustrates this point masterfully. Tagged Ali Jackson, Bill Schimmel, Carlos Henriquez, Chris Crenshaw, Dan Nimmer, Elliot Mason, Jazz at Lincoln Center Orchestra, Joe Temperley, Marcus Printup, Nathalie Bonin, Portrait in Seven Shades, Ryan Kisor, Sean Jones, Sherman Irby, Ted Nash, Victor Goines, Vincent Gardner, Walter Blanding, Wycliffe Gordon, Wynton Marsalis.